I made a new Sir Sampleton video showing some of the features of Audiobus, the new system that allows apps to stream audio between each other and work like VSTs. This video shows recording, sequencing, and sampling from other apps. Now that iOS apps can exchange both MIDI and audio in real time, I think we will be seeing a lot of new interesting music production apps by independent developers. Sir Sampleton 2.0 is out now. Biggest new feature is the sample download option which allows you to download sample sets from our new sample download webpage and send in your own samples for others to use. Also iPad/iPhone 5 full-screen support, some new sound controls, and the new multichannel MIDI mode that puts a different sample on each MIDI channel. Multichannel MIDI brings the app a bit closer to my goal of making the app a hybrid of a simple Casio SK sampler and more advanced samplers like an Emu. Also Virtual MIDI should be ready in a few weeks, allowing you to sequence Sir Sampleton using other sequencer apps like Sunvox and Genome…. Sir Sampleton 1.6 came out yesterday and now allows you to email samples for trading with friends, backup, and transferring between devices. You can also load Sir Sampleton sample pack files directly from Safari on an iOS device, which means it’s now possible to set up sample library webpages. If anyone comes up with some good sample sets, send em my way. I will probably eventually be starting a sample library page myself. I’ve got a new version of my iPhone app search engine now renamed The App Catalog. 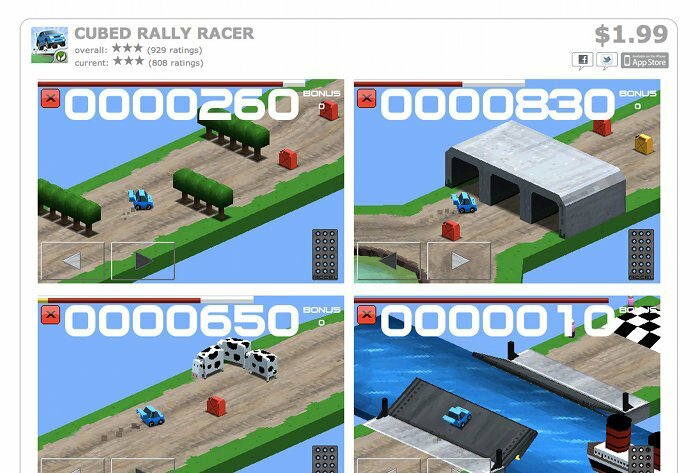 The site now has detail pages for each app, the ability to filter by price using searches like “games free-2.99”, and the ability to easily share apps on Twitter or Facebook. Check this new awesome promo video for Sir Sampleton!!! by John Michael Boling, Javier Morales, Julian Bozeman, and John Crowe. Also, Paddy Johnson did an interview with John Michael and me about this. I made a screenshot search engine for iPhone apps. With almost half a million apps out there and not very many good ways to search for them, I wanted a better way to search for weird stuff. I’ll be adding filters and other new features soon. New version of Sir Sampleton was released yesterday with support for the Line6 MIDI Mobilizer. For the next update, I’m working on CoreMIDI support and a multitimbral mode that allows you to put a different sample on each channel. The multitimbral mode is now operational, and it turns the app into a pretty serious sampler that I’m now using extensively for my own music. Rather than manually assigning each sample to a MIDI channel, I simply mapped each of the 12 saved preset samples in Sir Sampleton to their own MIDI channel, making it so easy. War Pinball is a 99cent iPhone/iPad app that has 3 pinball machines based on the movies Platoon!, Navy Seals, and Missing in Action. 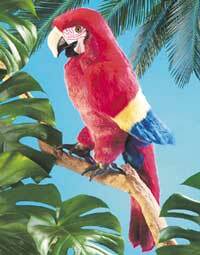 Has a 3D mode that works with red/blue glasses. 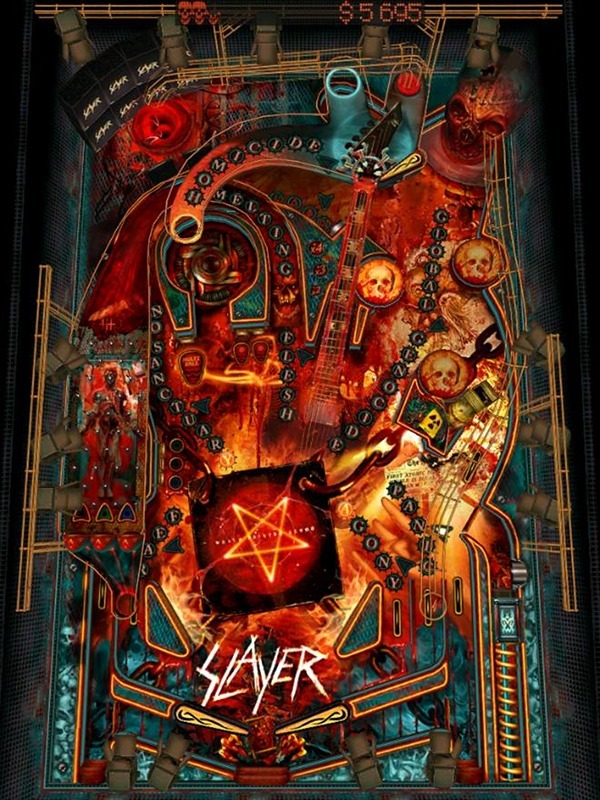 Same company that made the Slayer pinball, Gameprom ooo. It has a stereoscopic mode and this pinball does indeed rock. The camera pans around the board following the ball and Slayer’s playing all the time. It’s nuts. This week I released a new version of my iPhone sampler app sir Sampleton with support for the AKAI Synthstation 25 keyboard dock. The Synthstation 25 is about the size of a Casio SK-1 and can run on batteries, so it’s super portable. The design is not perfect but it’s pretty good and I’ve been using it regularly for my own music now. I plan to roll out a few more updates to Sir Sampleton soon including support for other MIDI devices, more sound settings, multiple sample-banks. I just released my second app for iPhone/iPad called Magic Carpet. The app is partly an artwork, but it also doubles as a musical instrument, a hypnosis and meditation tool, a toy, a VJ app, etc. 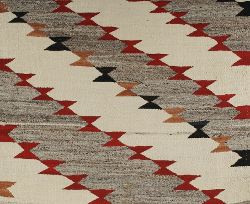 It displays collages of quickly spinning rugs and quilts accompanied by sounds or music generated from a software binaural beat synthesizer and sample player. It can also play music from the device’s music library, and it has a musical instrument mode. Magic Carpet supports Apple’s composite, component, and VGA cables on the iPhone 4, iPod Touch 4, and iPad. This enables you to run the app on your iPhone and display the output on a TV or video projector, which is cool. The capability of these devices to output video has a lot of potential for interesting apps. The app is a buck, you can get it by searching for “Magic Carpet” in the App Store. Demo vids below, and more vids here. Below is a demo video of my first iPhone App called sir Sampleton, which was released last week and is available in the App Store now for $3. It’s a simple sampling keyboard, similar to a Casio SK-1 and other toy sampling keyboards from the 80’s. Features: a random beat generator, the ability to save samples, built-in sounds, dual-sample mode, editable sound parameters. 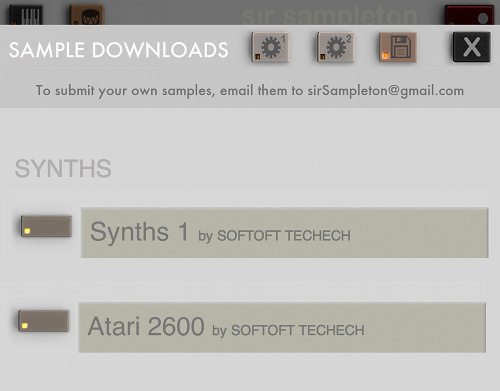 sir Sampleton is the first release from my new software company SOFTOFT TECHECH. In the next few months I plan to release more simple music apps, followed by a game.